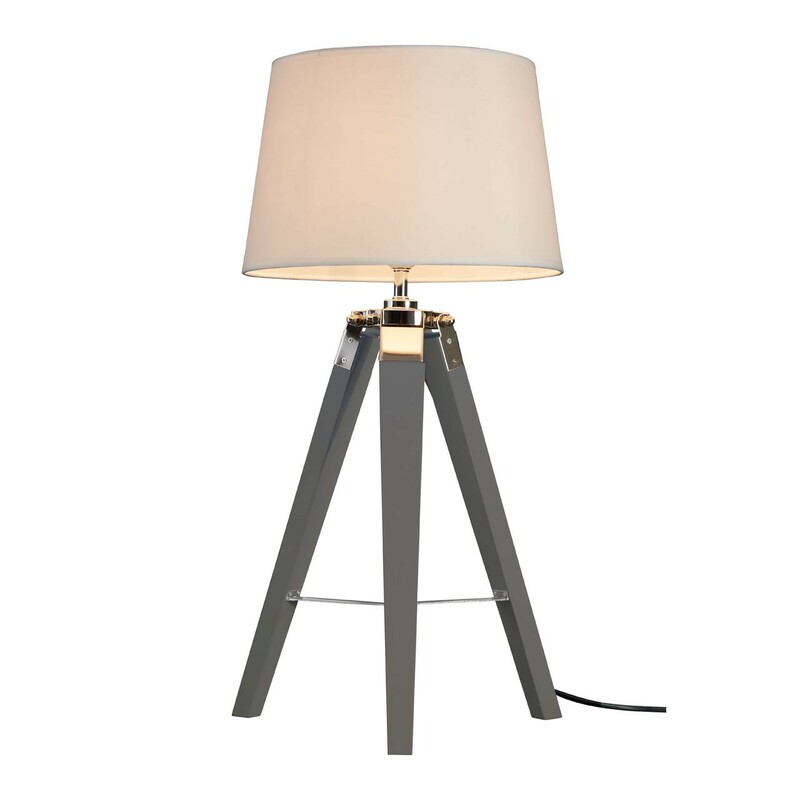 Its three angled legs are made from responsibly sourced poplar wood, and feature a dark platinum grey finish. The stabilising metal struts coordinate with the chrome plating at the top of each leg. The natural coloured fabric shade gives the lamp added refinement, and will produce an ambient glow when in use.